The Office of the Chief Medical Examiner in Baltimore, Maryland is a busy place. Anyone who dies unexpectedly in the state of Maryland will end up there for an autopsy. On an average day, they might perform twelve autopsies; on more hectic day, they might do more than twenty. But there’s one room on the fourth floor that sits apart from the buzz of normal activity. It feels a bit like an art gallery. The Nutshell studies are eighteen dioramas, each one a different scene. 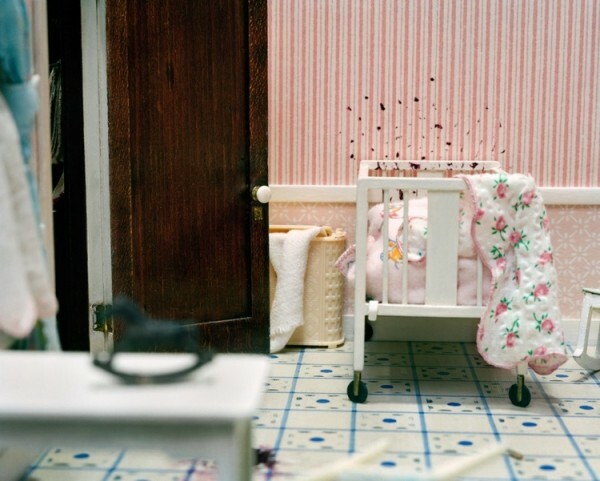 They all have different tiny features—tiny furniture, tiny windows, tiny doors. Each one depicts an unexplained death. When you look at a Nutshell Study, you’re looking for clues about how the person or persons died. Was it a suicide? A homicide? An accident? The Nutshell Studies were designed 70 years ago by a woman to whom some refer as the “Godmother of Crime Scene Investigation.” Her name was Frances Glessner Lee. 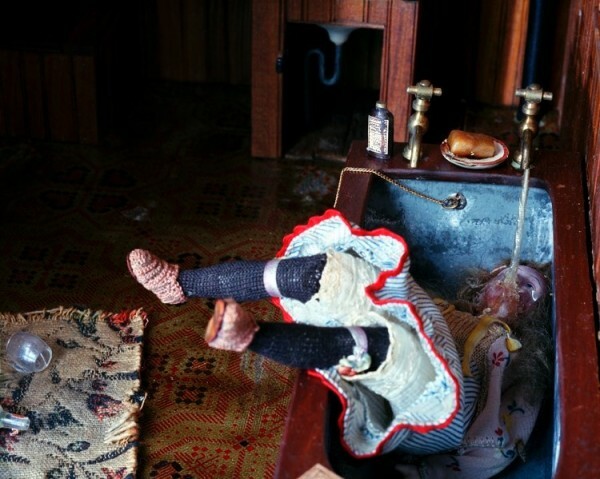 Frances Glessner Lee was born in 1878 to a wealthy Chicago family. She was introduced to the world of death investigation through a family friend and pioneering medical examiner named George McGrath. When McGrath would visit, he’d tell Lee about cases he was working on, and she developed her own fascination. Lee’s family didn’t support her interest in death investigation, so for years she studied it quietly—reading, visiting crime scenes, and talking to experts. As she learned more, she became aware of various problems in the field. Police would routinely botch investigations by unwittingly contaminating crime scenes. And beyond that, they didn’t know how to gather evidence from these scenes. They might not realize the significance of a pile of cigarettes, or the positioning of a firearm. And autopsies either weren’t being done at all, or were being done by doctors with no specific training in forensics. When Lee’s parents and her brother passed away, Lee was in her fifties, and finally had access to the family money, and agency to do what she wanted. In 1936 she gave a large sum of money to Harvard University to establish the first program of legal medicine. 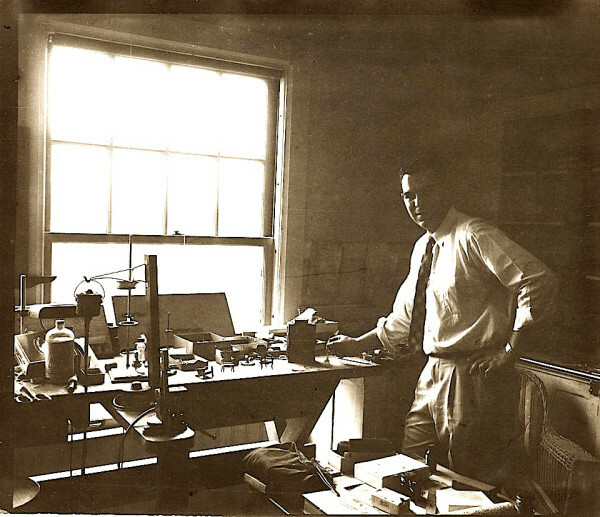 The program trained doctors to become medical examiners. 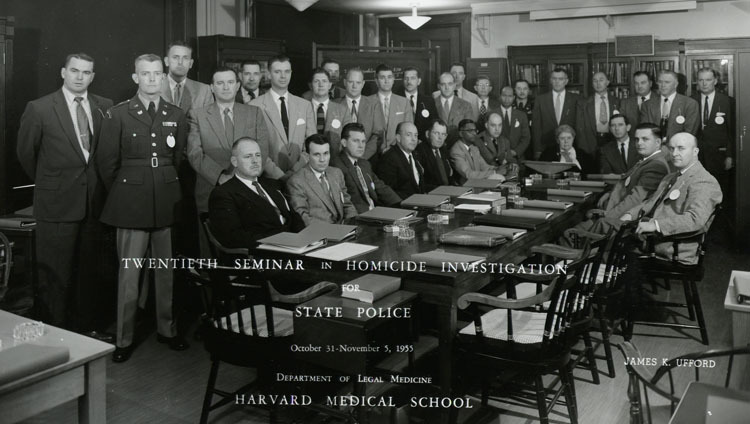 In 1945, Lee started and presided over week-long training seminars to teach police how to gather clues from a crime scene. 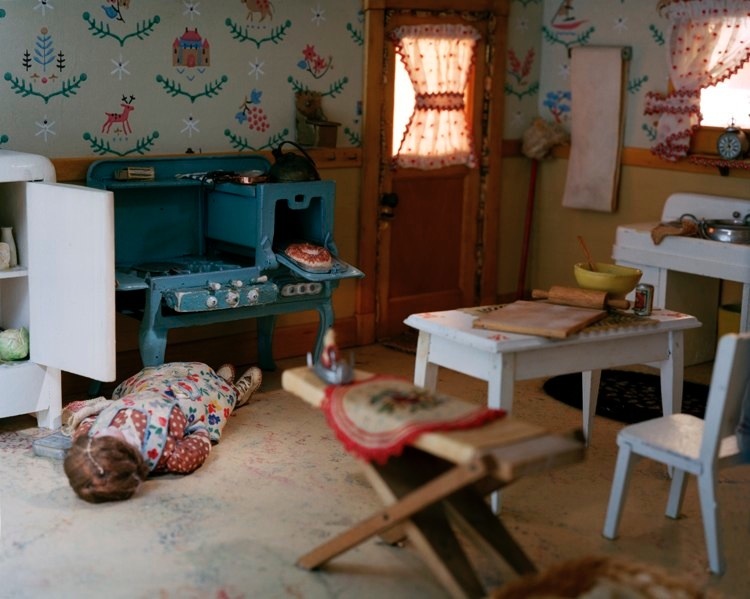 Given that it was logistically and legally impossible to visit real crime scenes during the training seminars, Lee decided she would build miniature death scenes for the police to study. Each one would be based on a real death. Each Nutshell Study also came with some basic information such as statements from whomever discovered the body, and other details police might normally have when arriving on the scene. 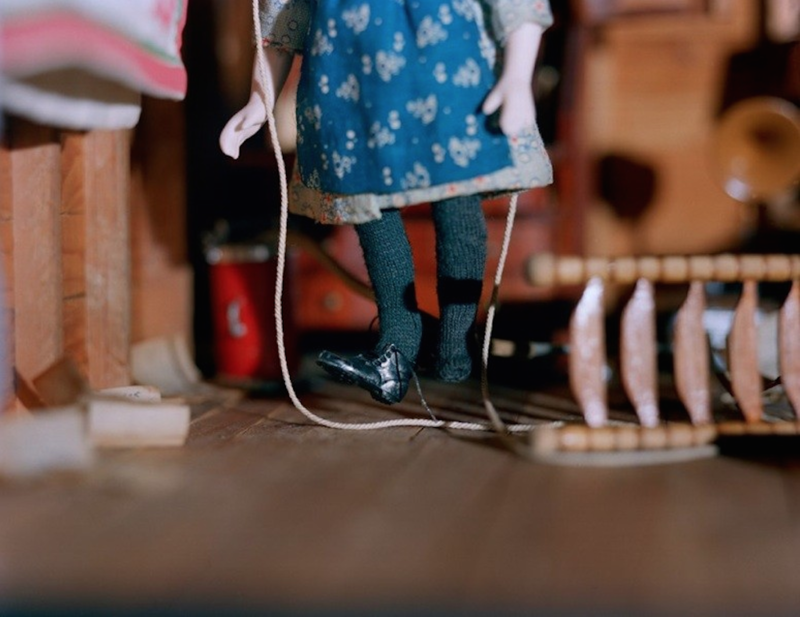 Frances Glessner Lee would come up with the concept and the design of each Nutshell Study, and her carpenter would then draw up the blueprints on the scale of one inch to a foot. He built the structures exactly the way you would a real, full-size room, with real studs and real doors with locks that worked. Lee handled all the figures and the textiles in the dioramas. She made the tiny rugs and drapes and clothes. She would knit the stockings using straight pins and could only work for a short time before her eyes would fatigue. The figures in the nutshells also sometimes demonstrate rigor mortis, which is a post-mortem stiffening of the body, and lividity, which is the way the blood settles in the body after death. Both provide clues as to how and when a person died. The detail in the nutshells is obsessive. 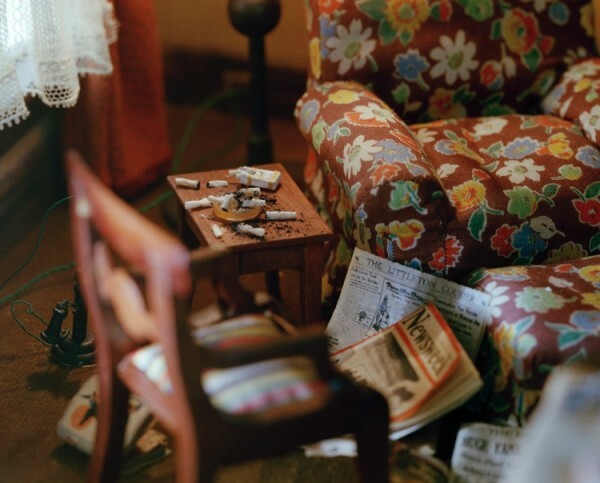 In one, an ashtray overflows with tiny cigarettes made with real tobacco hand-rolled by Lee herself—each one lit and then stubbed out. 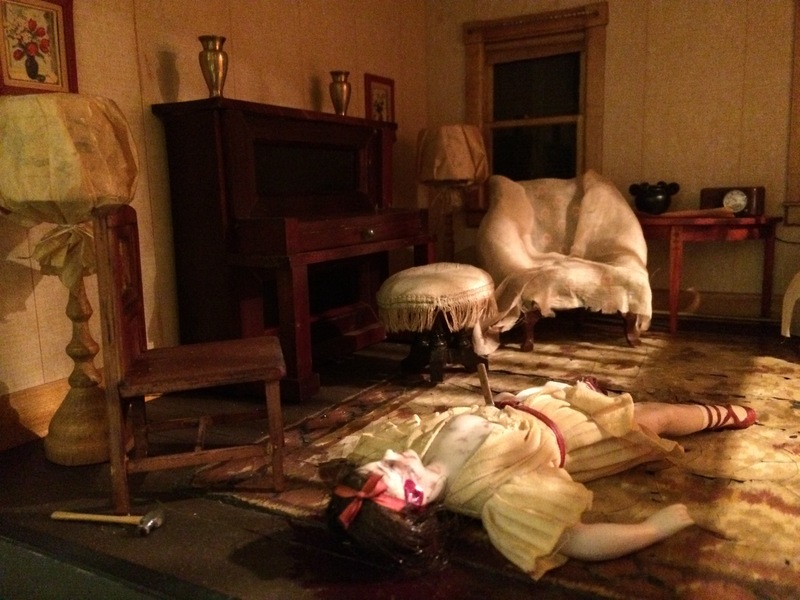 Each diorama took about six months and about $6,000 to build—on par with the same amount of time and money it would have cost to build a real house in the 1940s. Lee felt that if the policemen saw any fault in them, they wouldn’t take them seriously. She wanted everything to be perfect. Of course, Lee was always trying to be taken seriously in the all male world she had entered. She was ultimately both respected and adored by the police that she worked with. They came to think of her not only as an expert in the field, but also as a mother figure. She received stacks of cards from them on Mother’s Day. The week-long seminars she led were thought to be the best training that homicide detectives could receive. And they’re still thought of that way today. 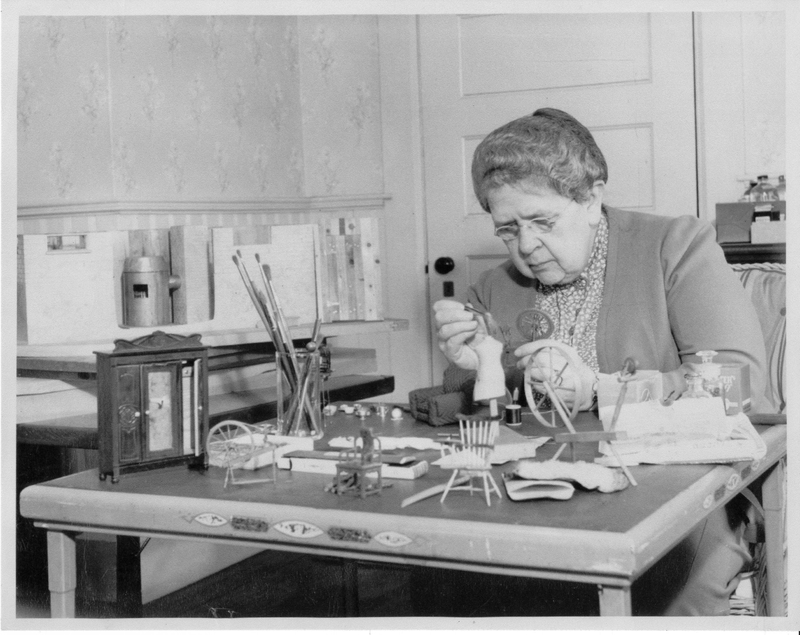 After Frances Glessner Lee died in 1962 the programs she funded at Harvard (including the week-long seminars) were ended, and the nutshells were put in storage, possibly headed for the trash. And then, Russell Fisher, the medical examiner in Baltimore and a former student of Lee’s programs at Harvard, stepped in and said Maryland would take over the seminars. The Nutshells Studies were brought down to Baltimore in 1968, and are still used today to teach homicide investigation techniques. 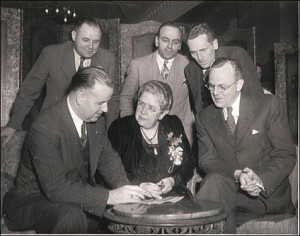 In addition to her interest in improving crime scene investigation, Frances Glessner Lee promoted a system where every unexplained death goes through a scientific autopsy, performed by medical examiner. She advocated that states abolish the coroner system in favor for a medical examiner system. She made some headway in the area, but many states are still on a coroner system. Maryland has a state-wide centralized medical examiner system. Which means that anyone who dies unexpectedly in the state will get the same standard of investigation by medical doctors with forensic training. 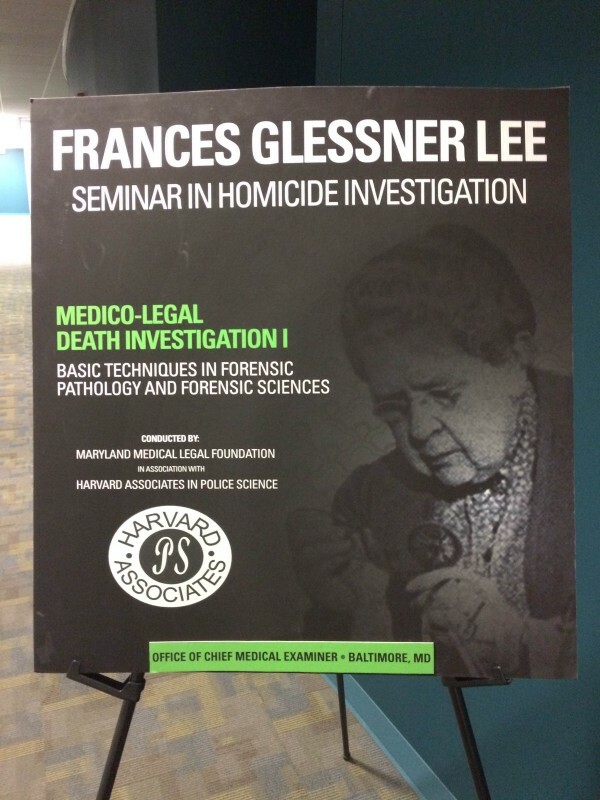 Bruce Goldfarb, the executive assistant to the Chief Medical Examiner in Maryland said he thinks that their office might be “the fullest embodiment” of Frances Glessner Lee’s vision. Producer Katie Mingle spoke with Bruce Goldfarb, Corinne Botz, A.C. Thompson and Jerry Dziecichowicz for this story. 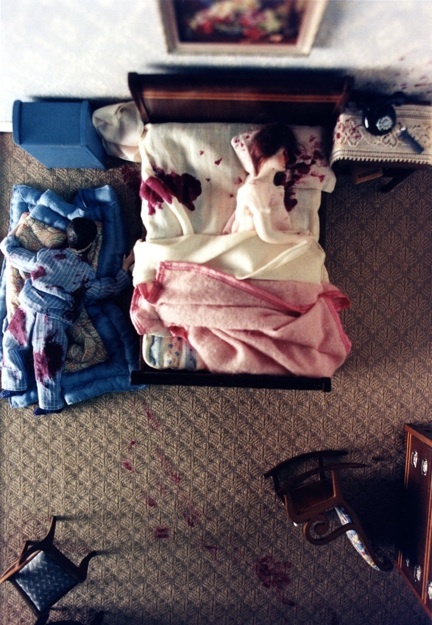 Corinne Botz’s book, The Nutshell Studies of Unexplained Death has detailed photographs and information about all 18 Nutshell studies. To find out more about how different states deal with death investigation, we recommend watching the Frontline Documentary, Post Mortem. That Boards of Canada, though. As soon as I heard the first note start to fade in, I realized (again) why this is my favorite podcast these days. Roman Mars, I’m glad you do what you do. 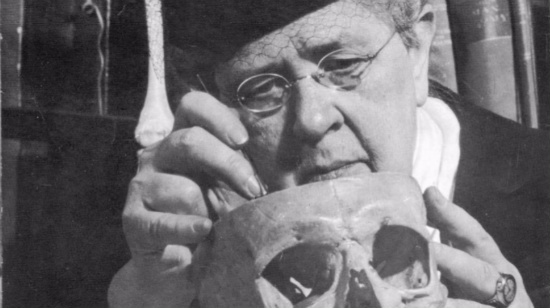 In the photo of Lee examining a human skull — is she wearing a watch-ring on her left hand? She’s, what, James Bond, too? Truly enjoyable episode as always, thanks so much! Frances Lee must have been my mother in my previous life! Having recently built a couple of rooms on the same scale with the same obsession with accuracy, I am inspired to keep on! I did knit a couple of sweaters on toothpicks as a kid, but stockings on pins? No thanks. You have to draw the line somewhere! Awesome episode ! Never thought crime scene investigation has this kind of approach. Thank you for focusing on death investigation and the coroner/medical examiner system, and for highlighting some of the problems in the underfunded patchwork of a coroner system. I am deeply familiar with this system, because I was a deputy coroner and then county coroner in my county. I am not a doctor; by background is in anthropology with a focus in forensic anthropology and pre-medicine. However, I really doubt one could get a doctor to work for the wage of the coroner in my county. In fact, for about the last 40 years, the coroners here have either been anthropologists or funeral home directors (another potential conflict of interest that occurs frequently in smaller counties). Do bear in mind that most coroners are required to be trained and undergo continuing education in medicolegal death investigation. Many offices are working on accreditation through the IAC&ME, the International Association of Coroners and Medical Examiners. Many investigators are certified through the ABMDI, the American Board of Medicolegal Death Investigators. I am a member of and certified through both, as well as through my state’s Peace Officer Standards Training Board of Coroners. However, the problem is the patchwork nature of the coroner system, and that not all investigators or county coroner officials are uniformly certified. Each county has to make their own protocols on when to perform an autopsy and when not to. Many counties have to travel to perform autopsies with contract forensic pathologists. At least one entire state, Wyoming, is entirely devoid of forensic pathologists, so each county must contract and travel out of state for every single autopsy. Many offices have to struggle with county commissioners to explain the value of maintaining an autopsy budget and for paying their employees a living wage. Thank you for highlighting some of the problems with the election of a county coroner, in which coroners candidates are forced to choose a party, then court votes and endorsements from police, funeral homes, sheriff’s departments, former professors, former county coroners, and other prominent members in their communities. To make matters even harder, how does a coroner candidate court regular, non-law enforcement voters when most voters are not even aware of what the coroner does? You know what is super annoying and super rude? Anyone telling anyone they should change their voice. You are entitled to your opinion; you are not entitled to demand that others conform to your taste. 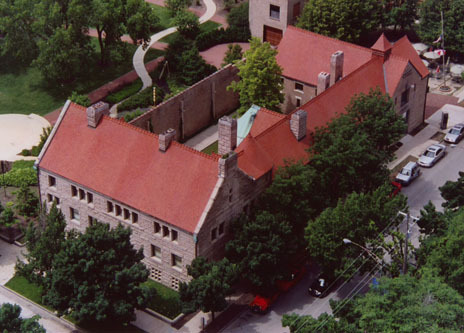 I would be so interested in solution for “The three room dwelling” mystery. Just hate an unsolved problem. Does anyone know what the piano motif at ~08:00 is? I also hear it sometimes on This American Life I think and it’s stuck in my head! Great episode. One of my favorites! As a medical student who has been dreaming about becoming a forensic pathologist since high school, I am a huge fan of this episode and have now added, “See the Nutshell Studies” to my Bucket List! Awesome that y’all are spreading awareness about the dismal state of medico-legal death investigation as a whole in the US. I love these podcasts! Always learning something :) In CBS’s Elementary, Holmes trains Watson using something very similar to the nutshell studies! I think one piece of music used in this podcast is Boards of Canada, am I right? Yes, but I can’t place which song. I saw these in person this earlier today! They have been on display at the Renwick Gallery in Washington DC for months and I only just found out about it this week. My wife and I went to see them with a couple thousand of our closest friends. They were beautiful and amazing to see in detail. The exhibit was packed and according to the staff there has been like that for months. 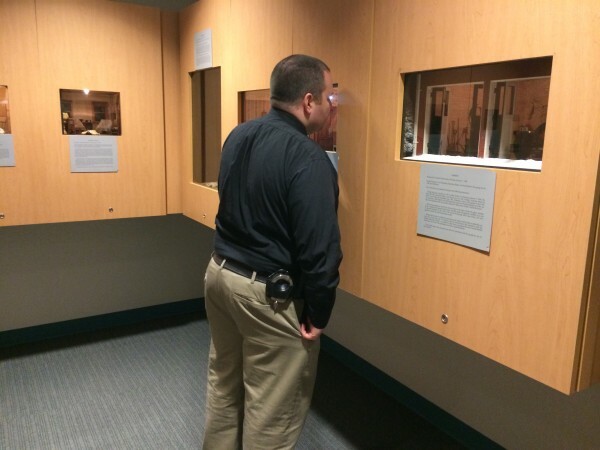 Sadly, this is the last weekend of the exhibit. I don’t know if they’re going anywhere else but it was such a treat to see them in person and I thought back immediately to this episode of 99pi where I first learned about them. Thank you so much for introducing me to them and their history! They’re amazing works of art and forensic science.